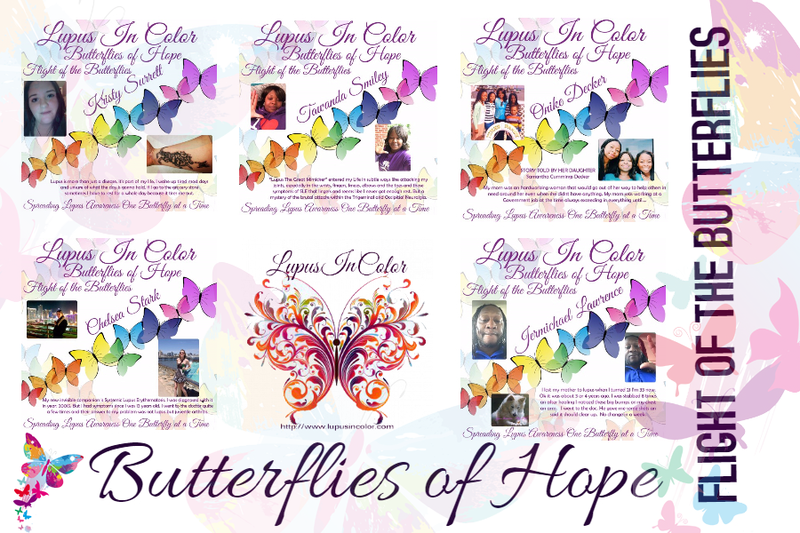 Butterflies of Hope Flight of the Butterflies is an awareness campaign that shares Warrior stories in the month of May for Lupus Awareness Month. These stories about a warrior’s battles, show their strength and faith in living beyond lupus. We are so excited to bring you more warrior stories for the 5th year. Please stay tuned for the flights because the butterflies are coming.